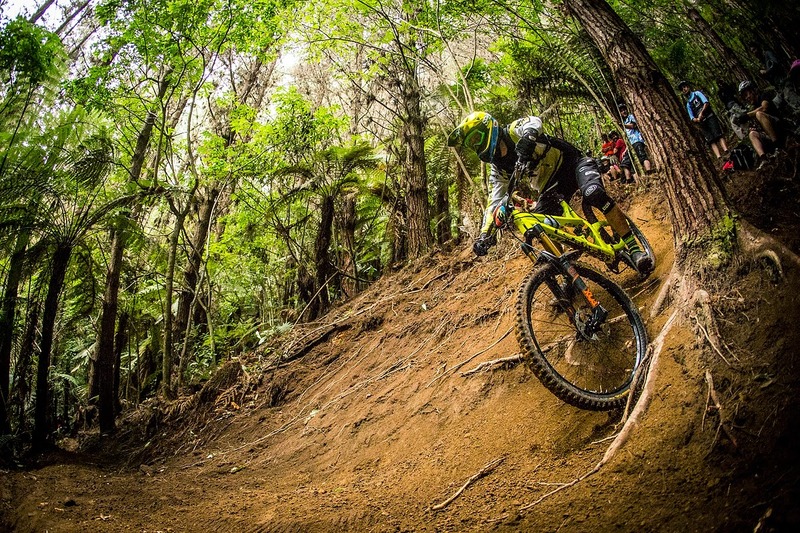 Disappointment for Dan & Martin at Giant Toa Enduro at Crankworx in Rotorua, New Zealand. 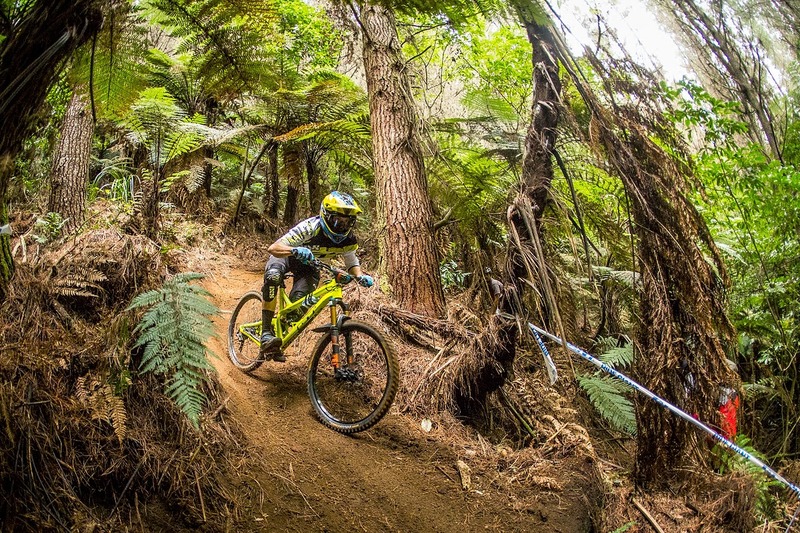 Amazing dirt, amazing trails and two riders in the physical and mental form of their lives, Round 1 of the 2015 Enduro World Series seemed like the perfect race for Dan Atherton. This was his first international after a 2014 compromised by injury and young Martin Maes' continuing quest for his first win in the GC. But both riders would end the day disappointed. Dan had ridden smooth and fast, and he was 7th overall as he went into Stage 5. (Official results show him 11th, 5th, 8th, 7th int he first four stages.) But he took a massive OTB and had to retire from the race - giving up a very likely top ten result. Dan's mechanic Olly reported: "He hit his head pretty bad, hurting his neck. He went to the hospital to get checked out, especially in light of his previous neck injury, and we're stoked that he's now got the all-clear. All of us are gutted for him, especially as he'd been riding the last two stages like an absolute demon in practice." 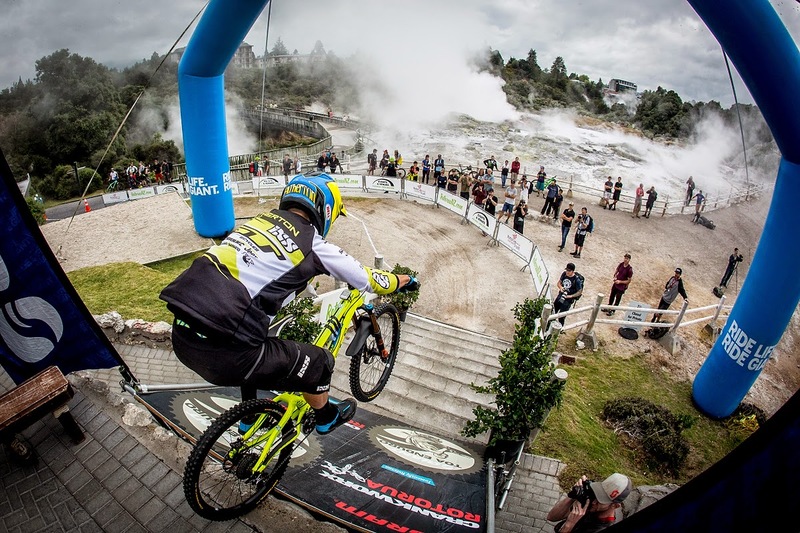 Martin had been strong in practice, relishing the challenge of the Rotorua trails. But come race day he took things a bit steady and couldn't seem to get into contention. Martin said: "I felt good with my fitness but maybe somehow today i was lacking sprint power - I'm not sure how some stages i did so bad!" Ultra-tough Stage 1, the longest and arguably the most technical track of the race was wild. The crowd was so noisy , there was loads of overtaking, and loads of crashes - including spills from Barnes, Ropelato, Absalon, Keene and Barelli!! Martin narrowly avoided a crash but the real issue for him was speed - he finished 28th on the stage, +53.5 seconds behind stage winner Jerome Clementz. Dan fared better, posting 11th on the stage at +23.5 seconds. Next up was a long liaison to Stage 2, the most remote stage of the race, deep in the forest. The stage was narrow, steep and slimy with some tricky off-camber corners but there were a lot of clean runs. Martin looked smooth and controlled throughout coming in 22nd for the stage and Dan's intense Dyfi forest training paid off with a 5th. Word from the hill was that Stage 3 was looking pretty blown out on the corners with even the easy lines looking rough and quite dark in places. Dan once again took the track in his stride finishing 8th on the stage. Martin came in 18th. Stage 4 was fairly flat, had more roots than any other stage and was very slippery. Martin finished 18th while Dan's power and famous bike-handling skills saw him safely into 7th. Stage 5, the shortest stage of the day, again had lots of roots, was tight, technical and required a high level of commitment. Dan was giving it his all when he took a massive OTB, exiting the race. Martin was 29th. Stage 6 incorporating the old DH track had some less steep sections so it was key to keep momentum throughout the stage. Dan and Martin had enjoyed this stage in practice but with Dan out injured it was left to Martin to fly the flag for the GT Factory Racing team which he did in style, posting his best result of the race with a 2nd for the stage, 2 seconds back from Florian Nicolai. Stage 7 was an extended version of Friday’s DH course. Martin rode it smoothly and in control, he made no mistakes but wasn’t in contention for the time, 18th for the stage.